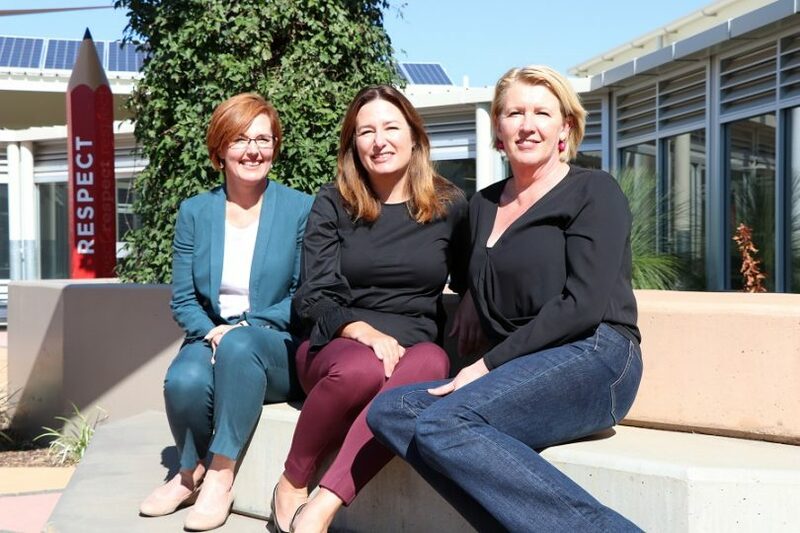 Member for Yerrabi, Meegan Fitzharris, Minister for Education and Early Childhood Development, Yvette Berry, and Franklin Early Childhood School principal Julie Cooper. Photo: Supplied. Franklin Early Childhood School will offer Year 3 next year as the first step in a staged expansion to a fully fledged primary school to Year 6 in the booming Gungahlin suburb. Minister for Education and Early Childhood Development, Yvette Berry, and Member for Yerrabi, Meegan Fitzharris on Thursday announced $2.5 million to start the process, including transportable classrooms to house the current cohort of Year 2 students, who will now be able to stay at the school for the new 2019 Year 3 class and beyond. The Government will also commit a further $250,000 to commence planning and consultation for growth of the school, which at present caters for Preschool to Year 2 students into a full Preschool to Year 6 school. The first permanent building is expected to be completed by 2021. Ms Berry said that when 2019 enrolment applications open on Monday 30 April, the 2019 intake would initially be limited to existing students, but planning was under way for a full-staged expansion that would welcome new students. Current Year 2 children will be automatically enrolled to continue on at Franklin unless a parent or carer chooses to enroll them at another school online from 30 April at www.education.act.gov.au. “The ACT Government is providing excellent schooling options to meet Canberra’s growing population,” Ms Berry said. “Successive budgets have significantly invested in schools for our growing city. Gungahlin is one of the fastest growing regions in Australia and today’s announcement builds on more than $270 million in government funding to school infrastructure in Gungahlin over the past decade. Ms Fitzharris said the expansion was an election commitment and met the desire many parents had expressed for the school to grow to a full P-6 school.